Website to improve reading and understanding of texts in Spanish. Tim y Tina combines the world of books with the Internet. This playful and attractive context helps children to progress in reading, making it a fun and natural pastime. 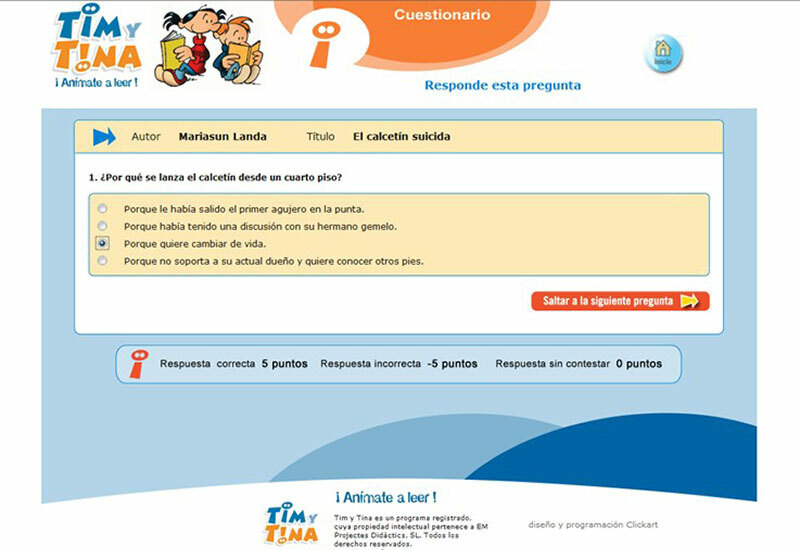 Once a student has finished reading a book, he or she logs on to Tim y Tina with an access code and answers questions to check his or her understanding. Reading points are collected for each correct answer. > These reading points reward and motivate the students in their reading and give them an incentive to continue reading for pleasure. > The points are also a tool for the teacher to identify any possible problems in understanding and in this way, help to improve students’ reading. 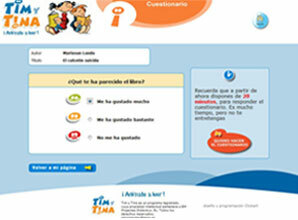 In Tim y Tina there are quizzes based on books in Spanish for readers from 5-16 years old, from a wide range of publishers and authors from around the world. We can make the most of the advantages that new technology brings us, but we should not forget to teach our students the fundamentals so that they can see best how to use it.